Valuetronics’ results are in line with our expectations. Overall, 4QFY18 performance came in slower as sequential quarterly revenue was down 18% vs 3QFY18, reversing seven consecutive quarters of growth. For FY19, there may be concerns that a major customer will see a slowdown and this may impact Valuetronics’ near-term results. The company has declared a surprise dividend of 27 HK cents. Upgrade to BUY with a higher PE-based target price of S$0.96 (previously S$0.95) as Valuetronics’ share price has retraced. Results in line; 4QFY18 sales grew 1.2% yoy as 4QFY17 was an exceptional quarter for the group because some customers built up inventory in anticipation of stronger sales in 2017. The fourth financial quarter is usually the weakest quarter for Valuetronics due to the long Chinese New Year holidays. The group ended FY18 with net profit of HK$204.7m vs HK$154.1m for FY17, driven by strong performance in both the consumer electronics (CE) segment and the industrial and commercial electronics (ICE) segment. Going into FY19, there are concerns that the CE segment may experience some near-term slowdown; however the automotive segment continues to look bright. Gross margins and working capital. Valuetronics’ gross margins grew marginally by 0.1% from 14.2% in 4QFY17 to 14.3% in 4QFY18. In 4QFY18, the group’s sales mix remained relatively stable with CE forming 46.6% of total sales vs 45.6% for 4QFY17. Operating cash flow was lower at HK$64m for FY18 vs HK$161m for FY17 due to faster payables turnover. This, together with the higher dividend payout, led to a reduced cash position of HK$671m as at end-FY18. Healthy financial position. Valuetronics maintains a healthy financial position with a net cash position of HK$640m with zero borrowings as of 4QFY18. Net cash forms approximately 33% of market capitalisation and net cash plus financial assets forms approximately 36% of market capitalisation. Valuetronics has declared a surprise dividend of 27 HK cents for FY18 vs 20 HK cents for FY17. Near-term challenges for CE. 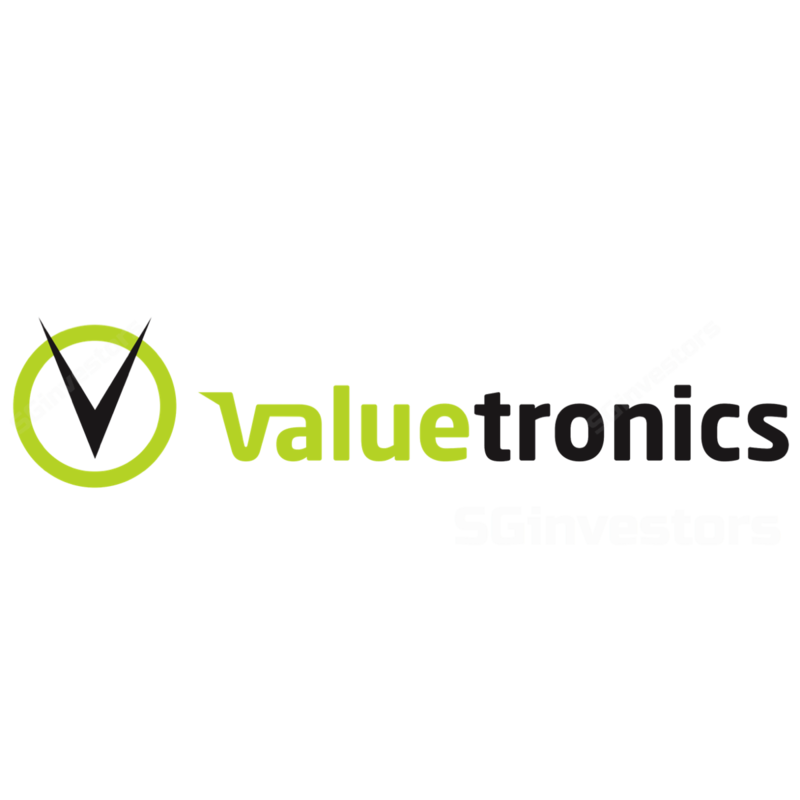 Valuetronics’ main customer in the smart LED lighting sub segment has signalled a slowdown in their recent financial results. Due to slower-than- expected demand, this customer will allow for inventory reductions in its distribution channel. This is likely to impact near-term CE segment results for Valuetronics as we estimate that the smart LED lighting segment accounted for between 20-25% of FY18 sales. This particular customer expects sales to return to normalised levels in the second half of calendar year 2018, which coincides with Valuetronics 2QFY19 and 3QFY19. However, the consumer lifestyle sub segment is expected to see double-digit sustained growth momentum into FY19. ICE segment prospects intact. Following the strong showings by the automotive and printer sub segments, the ICE segment should continue to experience decent growth in FY19 driven by new product launches from certain customers resulting in additional orders from existing customers. We raise our earnings estimates upward by 2% and 1% respectively for FY19 and FY20. Even though we have slashed our sales estimate for FY19 down by 8% to account for potential slowdown in the smart LED lightning segment, our administrative expense assumptions have been lowered as well. Upgrade to BUY with a higher PE-based target price of S$0.96 (previously S$0.95) as we peg to peers’ average PE of 11.3x for FY19. Additional customers in the IoT space. Additional customers in the automobile space.